New Extreme Series Skid Plates. 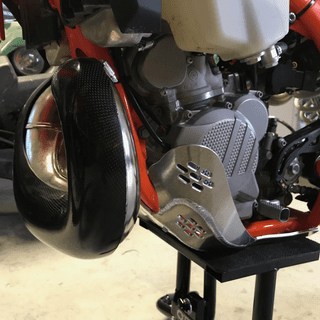 A newly designed addition to Enduro Engineering's highly successful skid plate line protects your engine in extreme rock gardens, rocky canyons or anywhere else that extreme conditions call for added protection. Enlarged/Higher Side Wings For Greater Rock Protection. Side Frame Rail Coverage. 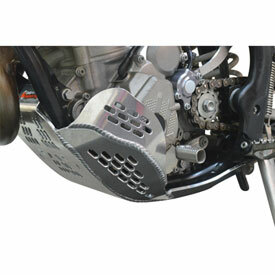 Foot Peg Mount Protection. Single Extra Wide CNC Machined Rear Mount For Easy Installation. CNC Machined Aluminum Components Tig Welded For A Precise Fit. Easy install and covers a lot of the motor. Likes to collect mud but it washes out easily. And it also comes pre drilled for a linkage guard. I love this skid plate. It's super beefy and strong. I ride rocky hill climbs and I need engine protection so I don't get stranded. This suits the bill perfectly. Installation was a breeze. And it removes easily for oil changes. What else could I want? Good coverage have a few nicks it, but that means its doing its job. Super protective! It covers most of the important parts. I ride in the desert most of the time so it must have a good strong skid plate. They also Pre made the holes for the linkage guard. Really good coverage of water pump and very tight fit ,Thumbs up , RM ATV . 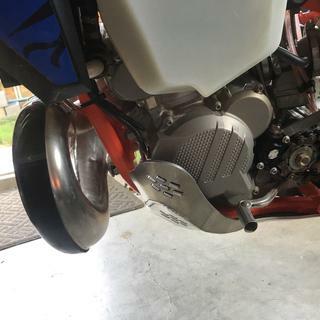 I’ve searched and researched multiple skid plates and finally decided to go with this enduro engineering skid plate because I like the way it’s mounted to my frame with no bolts exposed. It’s very sturdy and I would recommend it to anyone. Easy to install, looks great, tough as they get. Essential for anyone riding trails as far as I'm concerned. Little Rippers MC approved, Enduro Engineering has always put out quality product and support. Great skid plate super protection. I wish they made a plastic cover for it so it slides off of stuff better. I guess it won’t be hard to make one up for it. This thing is bigger than I anticipated. I'm glad though because otherwise I would have broken my clutch cover on a rock. Great coverage and protection. And also great customer service from EE. The rear elevator bolts were missing so I called them and they sent out new ones. Wicked cool guys. Also RM called me to follow up on the missing parts. Great service! 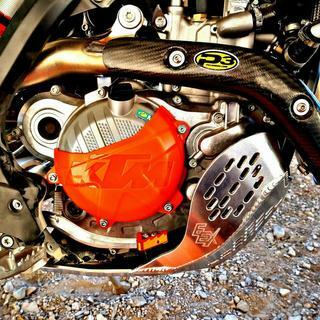 Good looking skidplate.... really easy to install. Great skid plate. I would give it 4.5 stars if I could for the design of the mounting system. 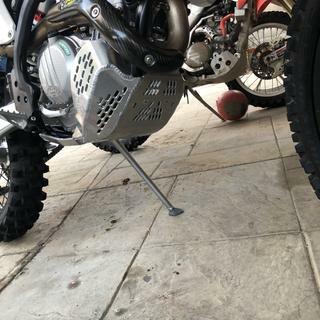 It is a little wonky getting it on with just one person which makes it annoying to take on and off but since the skid plate has a mud guard that keeps most mud out and lots of holes for water to drain, you can clean pretty well without taking it off. Bottom line is that this skid plate is reasonably priced, offers a ton of protection and durability and is well designed from a cleaning perspective. 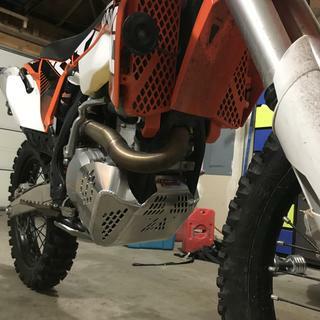 I purchased this skid plate to add protection to my 2018 KTM EXC 500. It was easy to install and adds great protection to the bike. Beefy skid plate. Looks like it will take a beating. Very good coverage. Fit great also. Super easy install. Very well made. But very “extreme”. Aluminum is .180” thick. A little heavy. Maybe “too much” overkill depending on application. True in my case. Kept it anyway. It really means protection to; hit really hard on rock first time use, and just a small scrach got. 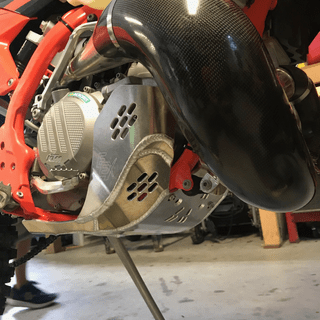 How easy are oil changes with this skid plate, particularly on a 17 KTM 250 XCF? Must the skid plate be unmounted to change oil? If so, how many screws does it take? BEST ANSWER: The Xtreme version will need to be removed to access the oil filter, but there is an cut out for the oil drain plug. Only the front 2 bolts will need to be removed and the rear two just loosened to take the skidplate off. just want to confirm that this will fit a 2019 ktm 300 XC Part# 1869520006? 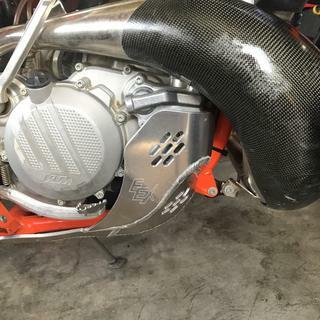 Works for KTM 350 EXC-F ?? 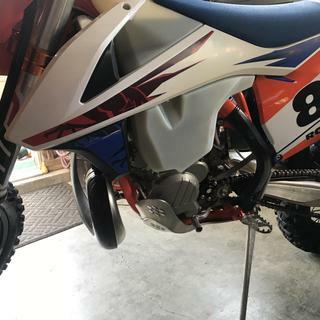 100% sure this fits a 2018 ktm 250 exc (2 stroke) TPI ? BEST ANSWER: Yes, the 24-017X is the correct skidplate for your application. Can you access maintenance items easily without removing the plate? BEST ANSWER: The oil drain bolt is accessible but some models you will need to remove the plate to remove the oil filter.